With soft, white powdery sand, warm gentle waves and cocktail-blue waters, sun-seekers are spoiled for choice with the Caribbean’s long list of beautiful beach destinations. From popular honeymoon havens to far-flung island locales, there’s a beach destination in the Caribbean to fit every mood, whether you’re looking to kick back on a secluded stretch of sand or prefer indulging in exciting water sports activities. Having trouble choosing? Each Caribbean island has its own distinct qualities to factor in, from hurricane season and high-tourist traffic to peak wildlife sightings, so we’ve created the ultimate guide to help you choose which stretch of sand is best for each month of the year, highlighting notable events and activities worth prioritizing on your vacation itinerary. We can’t think of a better place to de-stress after a chaotic holiday season than Jamaica. 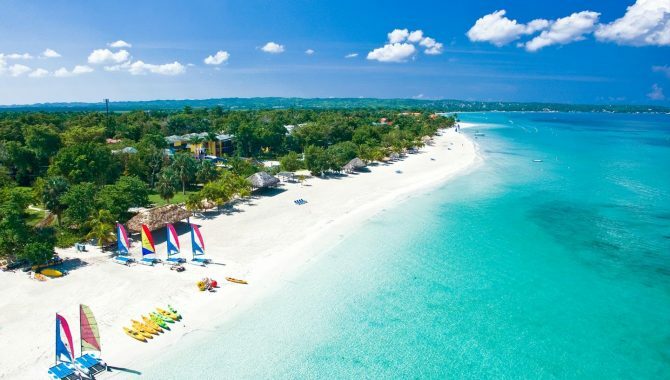 Embrace the “don’t worry, be happy” motto in Negril, where you can start your year off right along the miles of soft golden sand at Seven Mile Beach. 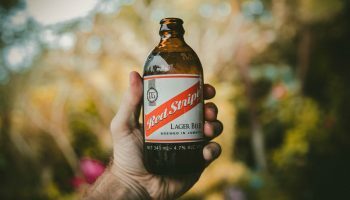 Rent a kayak or sailboat and explore the turquoise waters or simply kick back with a Red Stripe or rum punch. Offering spacious rooms with sea views, Beaches Negril Resort & Spa boasts outdoor pools, a water park, nightclub and kids club. Other beach destinations: Antigua is another great Caribbean destination in January, offering over 365 beautiful beaches and direct flights to the east coast. Or, if you’re looking for a boho-chic beach town, try Tulum, Mexico. With ancient Mayan ruins and seaside cliffs, this picturesque destination is an idyllic spot to unwind. Looking for a great deal? Punta Cana in the Dominican Republic boasts tons of deals on its all-inclusive resorts in January. Often considered one of the best beaches in the Caribbean, St. John boasts pristine pearly sand and sparkling turquoise waters. Nestled near the Virgin Islands National Park, February offers a serene ambiance perfect for soaking in the sunshine in Trunk Bay. The area is known for its Underwater Trail, a 650-foot snorkeling path of colorful and diverse coral fish where even young snorkelers will catch a glimpse of vibrant fish. Other beach destinations: February starts the frenzy of Carnival season, so if you’re looking for a colorful cultural experience, head to places like St. Maarten, Dominica and Trinidad and Tobago. For a picture-perfect stretch of sand, visit Anse Chastanet in St. Lucia. It offers a tropical setting and miles of colorful coral reefs, with easy access to scenic hikes and coastal paths. 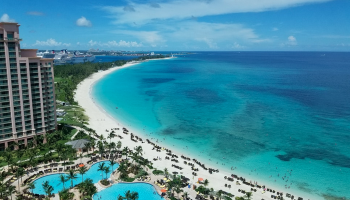 Spring is an ideal time for weather conditions in the Cayman Islands, offering travelers a chance to enjoy the bright blue waters at one of the Caribbean’s most beloved beaches, Seven Mile Beach. Serving as the premier beach resort district, this stunning stretch of sand is actually 5.6 miles long, dotted with restaurants, beach bars and luxury resorts. 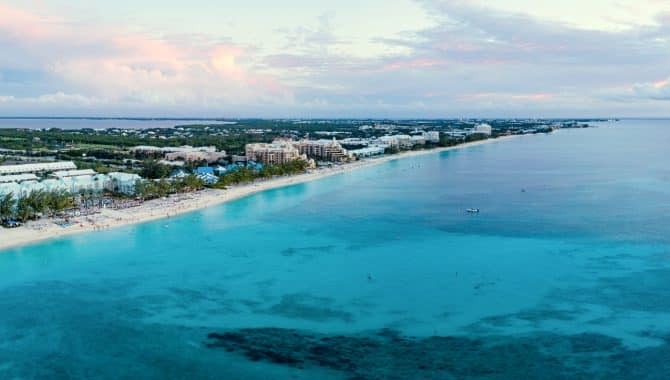 Enjoy a day of snorkeling, kayaking and parasailing, then a lavish beachfront accommodation at The Ritz-Carlton, Grand Cayman or the more kid-friendly Grand Cayman Marriott Beach Resort. Other beach destinations: March is a popular time of year to visit the Caribbean due to spring break. 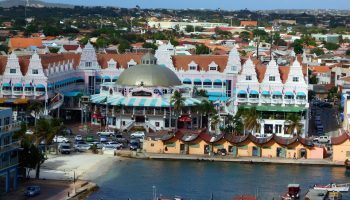 If you’re looking for a lively spring break scene, Punta Cana and Cancún have got plenty of it, while others wanting a more quiet spring break can visit Eagle Beach in Aruba, known for its laid-back beach bars, windswept divi-divi trees and snorkeling. Stick around after sunset and you might even see a turtle hatchling. April is shoulder season in Turks and Caicos, which means you might have to endure an occasional rain shower but you’ll avoid the tourist crowds. It’s the sweet spot before hurricane season, offering the perfect blend of affordability and great weather. Grace Bay boasts luxury beachfront resorts, like Windsong Resort, and offers soft-sand beaches, excellent scuba diving and easy access to other beaches like Bight Beach and Leeward Beach. Other beach destinations: April is all about the events in the Caribbean, where you can mix picture-perfect beach views with a dose of culture. Antigua boasts the Antigua Sailing Week, Barbados celebrates with the Barbados Reggae Festival, while Tobago’s puts on the Tobago Jazz Experience. Want to sample local delicacies? Attend Puerto Rico’s foodie-fest Saborea or St. Croix’s St. Croix Food and Wine Experience. If you want to get off the grid, the secluded beaches of St. Kitts & Nevis are an ideal spot to disconnect. 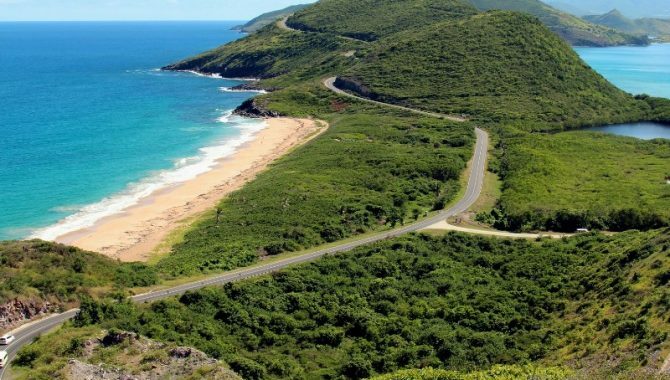 St Kitts is more lively with a wide selection of restaurants, bars and hotels, including the charming seafood eateries that line Cockleshell Bay and nightlife spots on Frigate Bay. Nevis boasts quiet landscapes, with spectacular snorkeling found on Oualie Beach and smooth saffron-colored sands at Pinney’s Beach. Other beach destinations: Come face-to-face with some of the world’s biggest fish at Isla Holbox, Mexico in May. From here until September, travelers have the chance to snorkel with whale sharks. Got a sweet tooth? 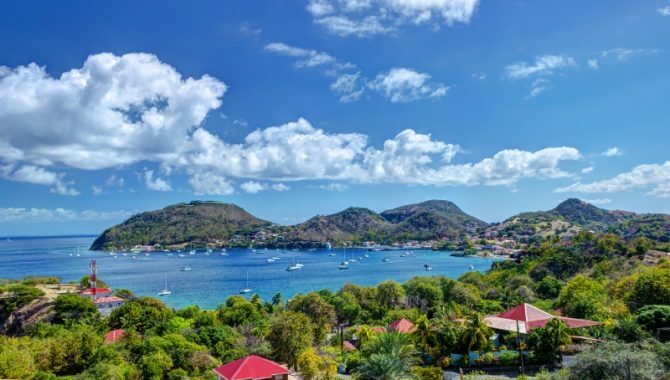 Taste some of the world’s best chocolate at the Chocolate Festival in Grenada, then relax on the famous two-mile-long Grand Anse Beach, go snorkeling or sip rum at one of the nearby beach bars. Escape the tourist crowds in June and instead head to St. Vincent & The Grenadines. Spend a day sunbathing on the sunny shores of Bequia Island, stroll the local markets in Kingstown or swim with turtles at the Tobago Cay’s wildlife preserve. 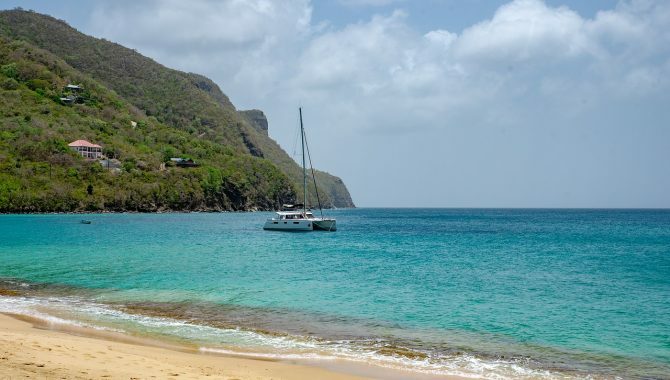 Chatham Bay Beach offers a remote spot for sunbathers, while the isolated stretch of sand at Macaroni Beach is one of the world’s best beaches. Other beach destinations: If you’ve got the kids in tow, the small Caribbean island Bonaire is perfect for families with easy access to snorkeling, scuba diving and scenic hiking trails. Kids will love mega resorts like Atlantis, Paradise Island in the Bahamas, along with its unique outdoor excursions, like a boat trip through The Exuma Cays to Pig Beach, where you can swim with adorable pigs. 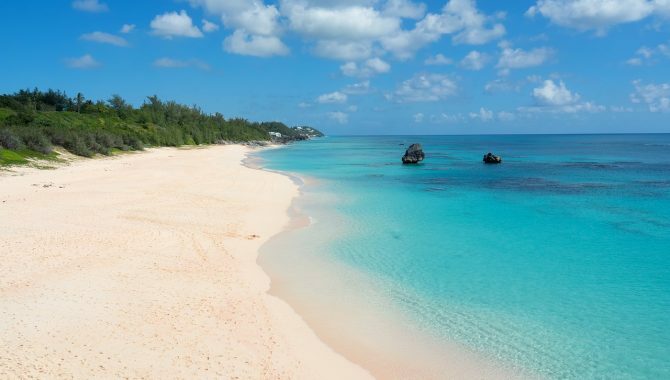 With its northern position and protective reefs, Bermuda is a great place to escape in July. 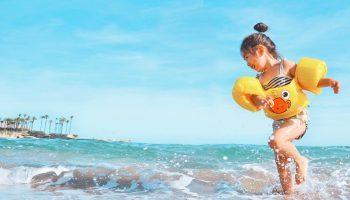 The weather doesn’t get uncomfortably hot, its a safer choice hurricane-wise in the Caribbean, and offers plenty of fun-filled summer festivals and aquatic adventures. Horseshoe Bay is the island’s most people beach area, a wide swath of rosy sand flanked by dramatic rock outcroppings, while Tobacco Bay boasts snorkel-ready waters. Other beach destinations: Jamaica is a great destination for outdoor enthusiasts in July with beautiful beaches, waterfall hikes and authentic Jamaican eats, particularly at Boston Beach in Port Antonio. Are you a music lover? Enjoy the Bob Marley vibes at Montego Bay’s week-long Reggae Sumfest. 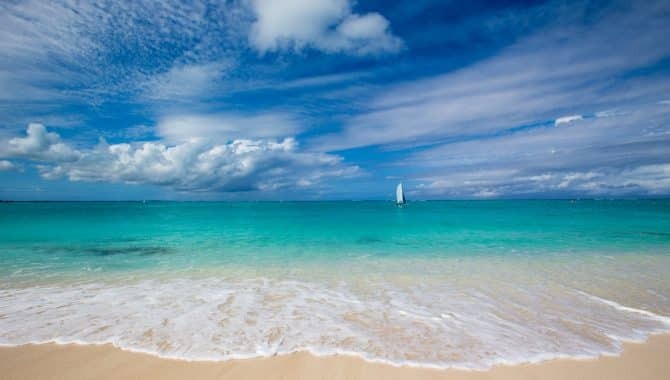 If beautiful beaches are your biggest vacation priority, explore the powder-white sands of Meads Bay, Rendezvous Bay or Shoal Bay East in Anguilla. 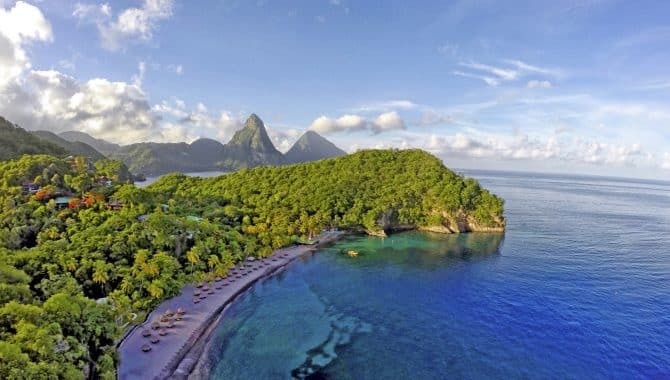 If you’re planning a romantic getaway, St. Lucia is a dreamy destination in August. Make memories with your loved one along its palm-fringed beaches, which boast some of the Caribbean’s best scenery, while romantic retreats like Jade Mountain Resort and Cap Maison are perfect for honeymooners. Don’t miss the crystal clear waters at Anse Chastanet or the expansive shoreline and beautiful sunsets at Reduit Beach. 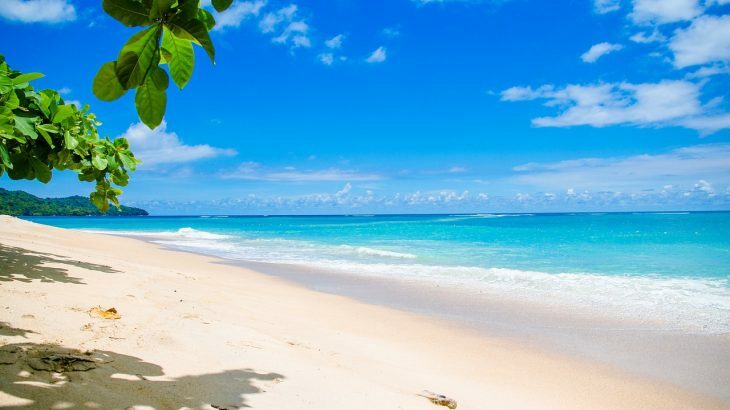 Other beach destinations: A mix of beautiful beaches and colorful celebrations, August marks the beginning of the Crop Over Festival in Barbados, one of the country’s biggest festivals. Try windsurfing in Palm Beach, Aruba or splurge on a trip to St. Barts, where you can soak up the scenery on Anse des Flamands, Baie de St Jean and Anse de Grand Cul de Sac beaches. Aruba sits on the southern fringes of the hurricane belt, making it an easy spot to get away in September. Enjoy the sunshine at Palm Beach and Eagle Beach, explore mysterious caves at Arikok National Park or try your hand at scuba diving at Hadicurari Beach. If you’re traveling with the kids, make a splash in the gentle waves of Baby Beach or visit a flamingo-filled beach. 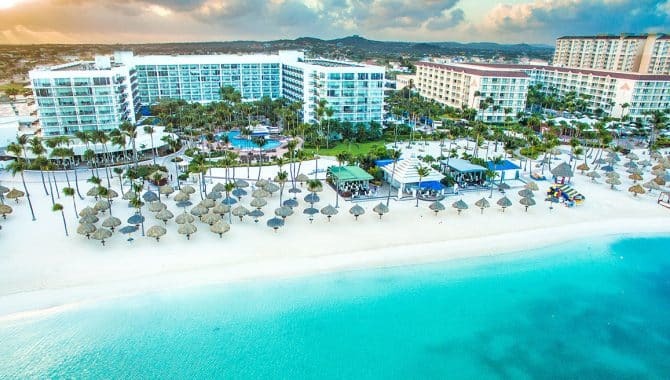 Aruba Marriott Resort boasts all the Caribbean must-haves, including a swim-up bar, oceanfront location and on-site casino. 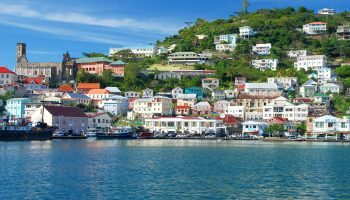 Other beach destinations: There’s plenty of Caribbean destinations to enjoy in September, including Grenada, which lies in the Southern Carribean and is best known for its rum distillery, nutmeg and jungle adventures. 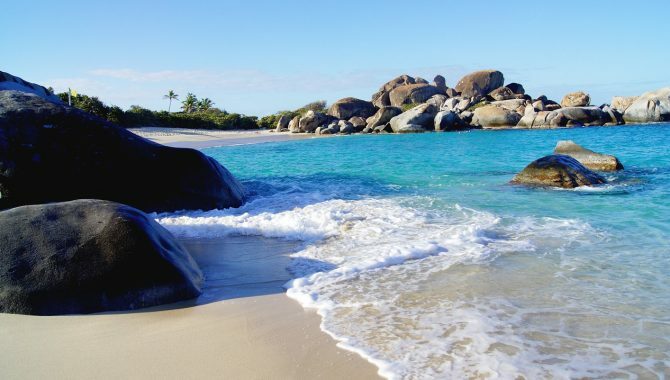 The other two Dutch “ABC” islands (Aruba, Bonaire and Curacao) are also Caribbean beach destinations best for trying to avoid the hurricane season. 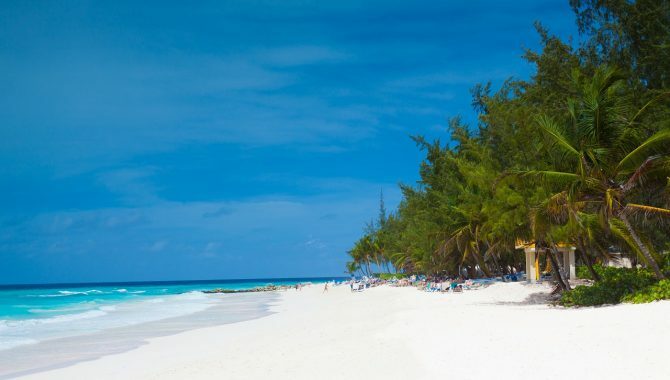 If you’re looking for a beach vacation in October, opt for Barbados. Its easternmost position makes it ideal for avoiding a direct hit during the last month of hurricane season and it offers plenty of family-friendly activities. Dig your toes into Browne’s Beach, snorkel with sea turtles in crystal-clear water or attend the annual Food and Rum Festival for a dose of culture. Enjoy the white-sand beach views from floor-to-ceiling windows at Hilton Barbados Resort, which also includes tennis courts, a spa and outdoor pool. Other beach destinations: Trinidad and Tobago is an excellent spot for nature lovers and bird watchers, with beautiful beaches lining its picturesque coast. Don’t miss the lounging on the white sands of Pigeon Point and Store Bay. Enjoy Creole music? Visit Dominica and attend its annual World Creole Music Festival in October. 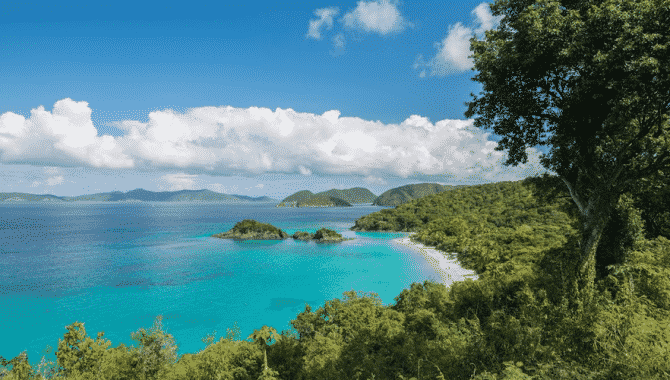 November is a great time to explore the Carribean, and families will love the British Virgin Islands, or BVI for short, for its endless kid-friendly activities, uncrowded beaches and Instagram-worthy landscapes. Enjoy the shores of Cane Garden Bay or Smuggler’s Cove on Tortola, then take a boat trip to The Baths on Virgin Gorda or Anegada Island. Other beach destinations: The Cayman Islands hosts its annual Pirates Week in November, while Bermuda sees its temperatures dip, making it a great time to enjoy a round of golf at Port Royal Golf Club. 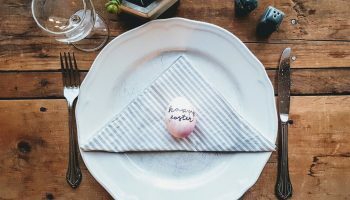 Want to celebrate Thanksgiving abroad? You’re likely to see it celebrated in U.S. territories like Puerto Rico and the U.S. Virgin Islands at hotels that cater to Americans. Guadeloupe is an ideal beach destination in December, where sunbathers are lured in by secluded sun-kissed beaches around Les Saintes, Marie-Galante and La Desirade. A unique blend of French and Caribbean culture, you’ll find bang-for-your-buck hotels away from the tourist crowds, as well as stunning scenery found at natural attractions, like Guadeloupe National Park. 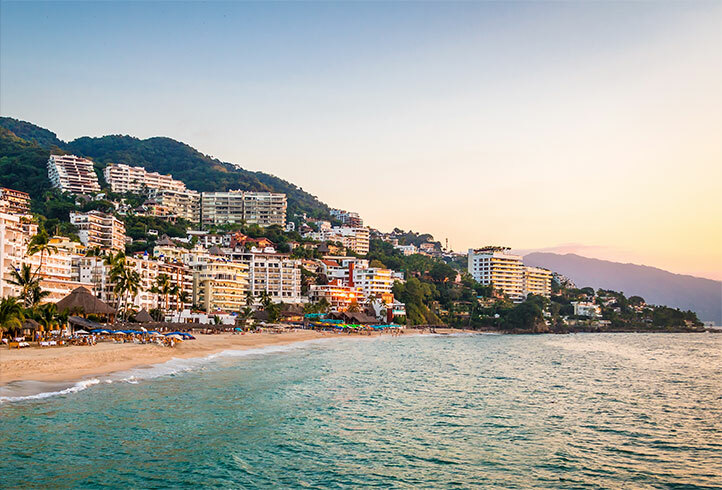 Other beach destinations: December starts whale watching season in Los Cabos and Puerto Vallarta, where you can get daringly close to these majestic creatures. If you’re looking to escape a traditional white Christmas, experience the live music and colorful parades at Sugar Mas Carnival in St. Kitts.